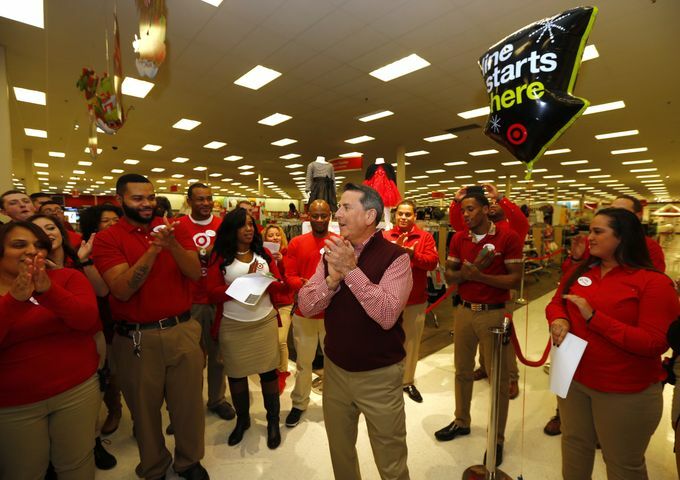 Target Corporation (NYSE: TGT) today reported a successful start to its Black Friday weekend, with unprecedented results on Target.com and a strong turnout in stores on Thanksgiving Day. Target’s “10 Days of Deals” began Sunday, Nov. 22, giving guests daily offers, including 10 percent off electronics and 20 percent off kitchenware. As part of the promotion, Target brought back the Black Friday pre-sale on Wednesday, Nov. 25. Sales were strong with the most popular items being Apple Watch and Apple iPads, Beats Solo 2 headphones, FitBit Charge HR and the Philips Sonicare 2 electric toothbrush. Guests were granted early access to nearly all of Target’s doorbusters on Target.com beginning Thanksgiving morning. Demand outpaced 2014’s record Thanksgiving performance, making it Target’s biggest day for online sales yet, driven largely by electronics. Guests also continued to use the Order Pickup option at Target.com. Before 6 p.m. on Thanksgiving, the number of orders placed for in-store pick up increased by 35 percent as compared to 2014. Apple iPads were top sellers in stores and online. On average, Target sold an iPad every second throughout the day on Thanksgiving. Apple Watch was especially popular in stores. Gaming consoles were popular in stores and online, including Nintendo Wii U, which was the top selling item on Target.com. TVs were one of most sought after items in stores— the 55” Westinghouse at $249.99 was Target’s top selling TV. Movies were a big hit in stores with guests buying more than 3 million on Thanksgiving. A three-foot stuffed teddy bear, priced at $10, was a surprise hit, with some stores selling out in minutes. Top toys included LEGO, Barbie, Disney Princess and Star Wars. Target exclusives generated nearly one-third of Star Wars toy sales for the day. Beats Solo 2 headphones were one of the top sellers on Target.com and in stores at $96.99 (reg. $199.99). As always, guests can use their REDcard for an additional five percent off on top of other discounts. Online shoppers can continue to take advantage of free shipping on Target.com through Dec. 25. And the 21 million savvy deal seekers who use Cartwheel will continue to find thousands of offers throughout the holiday season.